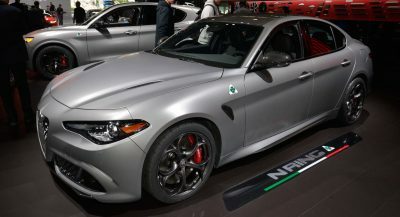 FCA focused on the Alfa Romeo, Jeep, RAM and Maserati brands during today’s big announcement of the company’s future strategy but that doesn’t mean that Fiat isn’t getting a little love – though, not much as the company is mulling plans to end sales in North America and China in the coming years. 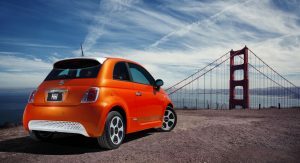 Still, Fiat announced that it will launch the next-generation of the electric 500e in 2020, with the small city car to be powered by the least powerful of FCA’s planned four EV powertrains. 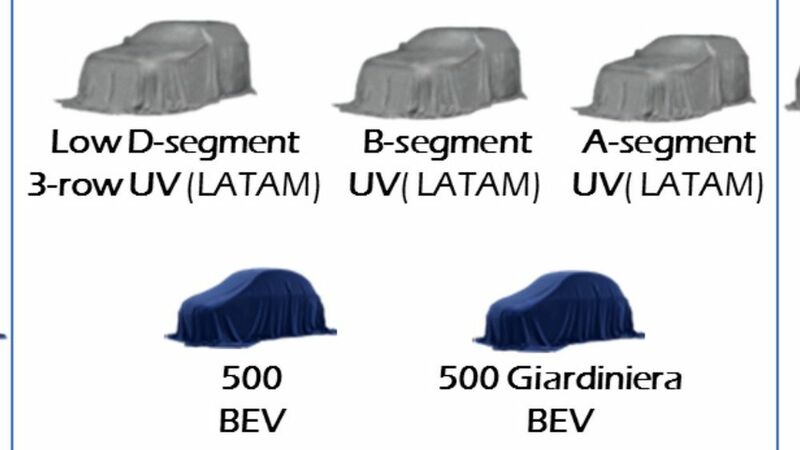 The 500 range will also be expanded with the revival of the Giardiniera version, the original 500’s estate derivative. 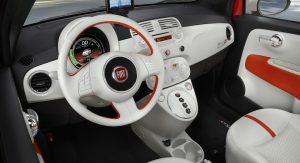 Marchionne said that the new 500 Giardiniera will offer class-leading roominess and “an unmistakable design”. FCA’s CEO also said that Fiat’s next Panda will maintain the no-fuss image of the model and will be offered with eco-friendly combustion engines. 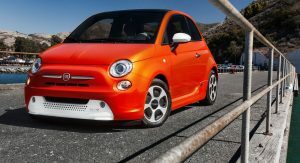 The new Fiat 500 Giardiniera will use the same electric powertrain with the 500e while the next-generation 500X and 500L models will be powered by new hybrid powertrains. 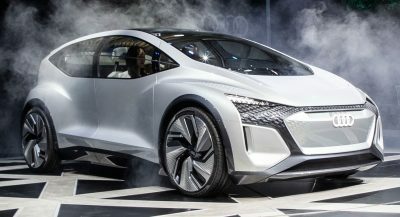 However, the compact dimensions of the next-gen 500e are expected to limit the available space for a battery pack, which means that driving range will not be as long as other EVs. As mentioned above, FCA will develop four different electric powertrains to cover all needs and most segments. The ‘City Car’ powertrain will be used by models like the next-gen 500e while the ‘Mainstream’ powertrain will debut in the Jeep Grand Commander. 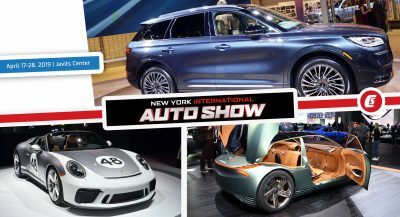 FCA will launch the ‘Performance’ EV powertrain in the 2020 Maserati Alfieri while a ‘Premium’ EV powertrain will make its appearance with the 2022 Maserati Quattroporte. Fiat will also launch three new SUVs, including a budget three-row compact model, in Latin America only. Nice to see FCA’s new plan of action BUT given their history it’s too easy to be skeptical. When Sergio is gone (2019, hurry up) FCA may finally start showing some consistency in delivering products on their scheduled date. They’re bitching and moaning but the last time we heard from Sergio was before the VW diesel scandal, right? I mean FWIW I’m currently leasing a 2017 500e and I’d be thrilled to get to lease the same car with a 100 freeway range. This is the same Marchionne who few years ago said that the last gen 500e was a terrible car and ask buyer not to buy it. What will be different this time? even observer think that 500e would have less mileage compare to similar car in it’s class. It’s shame that both Fiat and Chrysler in the FCA is the one that get less attention, The new Tipo will be axed despite that they are still new and quite decent and reasonably price, Punto will be dead without replacement and Fiat still lacking any SUV. He didn’t say it was a terrible car, he said they lost $10k on each one, so please don’t buy them. As a 500e owner, I can tell you they are the most enjoyable to drive of all the BEVs short of the Teslas. 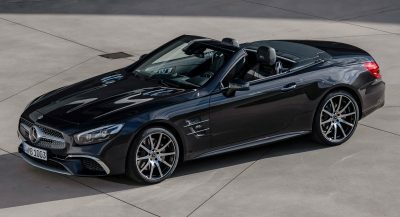 If they make a new 500 with fully integrated BEV instead of the after-party Bosch job, in the Cabrio, I’ll own one. I can’t imagine a more enjoyable city car in that config, especially if they get the pack size up to 33-40kwh. The only thing I don’t like about mine is the ancient nav/phone/audio tech. 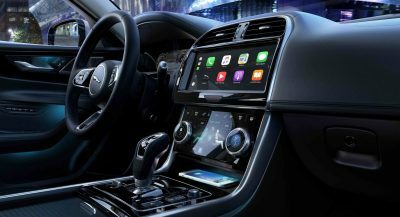 One with CarPlay, etc. and the vert and I’d love it. Well I appreciate 500e owners but the in my opinion spec is still bad, even compare to cars like i/C-Zero or last gen Leaf, but again this is a car build to satisfied government mandate so what do you expect. People rarely buy cars on spec. The 500e is clearly and obviously a mandate car, and yet because of the base vehicle, it is a hoot to drive. Imagine a gen 2 car that Fiat has taken the time to integrate the drivetrain from the ground up. Should be considerably better than Gen 1, and hopefully they will expand availability to other body styles. The electric version of the 500 is such an obvious investment. The current model is being loved by their owners, even though not much effort was put to create it. The desire to not create an electric car is almost its strength–e.g. how the styling isn’t, for instance, the OMG ELECTRIC bright-light coloring of the BMW i series. It’s just…a car, that happens to be electric, with some very minor obvious tells that it’s not its gasoline sibling. 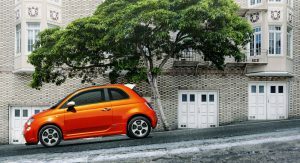 I am leasing a 2017 Fiat 500e, for the price they are listing, there is no way I would buy it. For 84 miles range and list 2K more expensive than a 150 miles range LEAF (both base models), the choice is obvious. But lease on Fiat is a good deal.